The Royal Mint announced its intention to mint special edition silver coins feturing well known birds of prey. 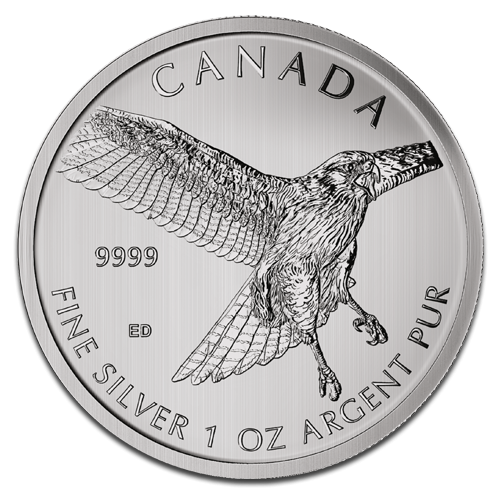 The 2015 1 oz Red-Tailed Hawk Birds of Prey Silver Coin is struck with 99.99% pure silver. Reverse: Features a red-tailed hawk descending upon its prey.